Ceibass Venture Partners – Think Like A Buyer To More Effectively Run Your Green Industry Business For Profit. At Ceibass Venture Partners, we are Enterprise Value Specialists who work with you to make your business highly competitive and highly attractive to potential buyers. We work EBIDTA and multipliers and the mechanisms that determine the value of your business – even if you are not thinking about selling in the immediate future – to create immediate value and increased profits for your business. That’s why our CEO, Tom Fochtman, wrote an article on the importance of thinking like a buyer to enhance the value of your business. 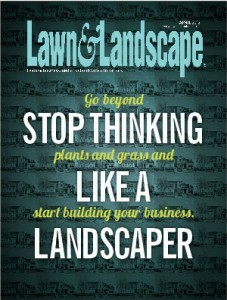 Read the Lawn & Landscape article here.